Squirrels are known for their overpopulation in Minneapolis, MN. It’s hard to look outside and not see a squirrel. Squirrels this time of year have started to figure out that the weather is cooling down and the cold air is not going anywhere anytime soon. So, what do they do? Unfortunately, squirrels may try to make their way into your comfortable, warm home to evade those frozen paws. If you need squirrel control in Minneapolis, MN, give Minnesota Wild Animal Management, Inc., a call today. Squirrels in Minnesota – There are three common squirrel species in the Minneapolis, MN area. You’ve got your red squirrels, grey squirrels and then flying squirrels. While we can all recognize the “adorableness” of squirrels in the park or outside playing on a tree, squirrels don’t look so cute when they are invading and tearing up your home. At Minnesota Wild Animal Management, Inc., we are your professional squirrel removal experts. If you are looking for a timely and humane way to remove the pesky squirrels in your home, we are only a phone call away. With over 35 years of combined experience in wildlife control, we’ve got your back. 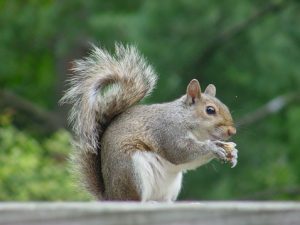 Whether you love them or hate them, the common gray squirrel can be quite a nuisance when they get inside of your home. Tree squirrels love to play in the yard, raid bird feeders and jump from tree to tree. 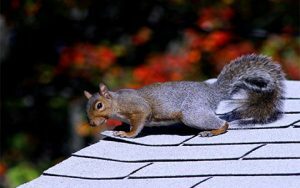 But, squirrels nesting in your attic, walls or chimney is cause for concern. 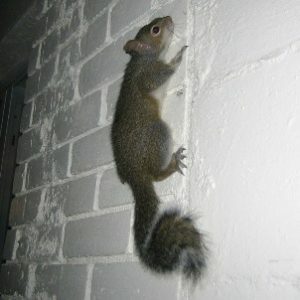 Squirrels can be very sneaky and determined to get inside of a house or business. Getting them out can be much easier with the help of a trained gray squirrel exterminator from Wild Animal Management, Inc. 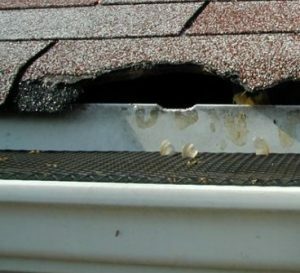 When you think of animals that can cause damage to your home, a squirrel is probably not the first one to come to mind. The truth, however, is that squirrels will chew on just about anything that they can get their small teeth on. So, if you’ve noticed squirrels hanging around close to your property, you may want to consider removing these animals so that they don’t end up causing damage to your home. When it comes to finding the best squirrel removal contractor in Minneapolis, look no further than our proven team at Minnesota Wild Animal Management.